Traveling through different altitudes and varying weather conditions can wreak havoc on your skin, and I’m not about those games going into the holiday season. A week or so ago, returning from Florida I noticed my sensitive skin was not adapting to the cooler weather in Chicago. I began to notice significantly more flaking on t-zone and my skin had an on-going ashy vibe and dry feeling. Immediately I went into my old faithful skin fix of doubling my water intake to address any internal hydration issues. Then, I started experimenting with creating an ultra-hydrating natural solution. Within a few trials, I am proud to announce, I’ve whipped up just the perfect moisture rich mix for my dry skin. The mixture is ultra-moisturizing, light, and oh-so-creamy. A week and a half in, I’m absolutely loving how hydrated, soft and smooth my skin has become. Finding the right ingredients and amounts for this mixture has been trial by error, but making homemade beauty products always feel relaxing and rewarding for me. With numerous ingredients with natural healing and beauty benefits available on the market, I’ve discovered the most important things to consider when creating the perfect recipe. First, I prefer a formula that absorbs both easily and harmlessly. If a formula is light and made from natural ingredients, it’s easier for your pores to absorb it and your body to break down its remnants. I avoid putting products on my skin that I know my digestive system cannot sufficiently break down, like mineral oil. Consider this, as products are absorbed by the skin, small amounts seep through into our bodies to be broken down and released. Secondly, my body requires tons of moisture, moisture, and more moisture. Requiring an effective formula that leaves my skin feeling hydrated, soft and smooth all day. I’m busy, we’re all busy- so I prefer only having to apply lotion once a day, so an ultra moisturizing formula that leaves a light conditioning film is ideal for me right now. I’m a perfume girl, so I opt for a light and pleasant scent, one subtle enough to take a back seat to my signature fragrance. Its no secret, with our skin being our largest organ; soft, moisturized and smooth skin is a beauty “must-have” and foundation for any great beauty regimen. 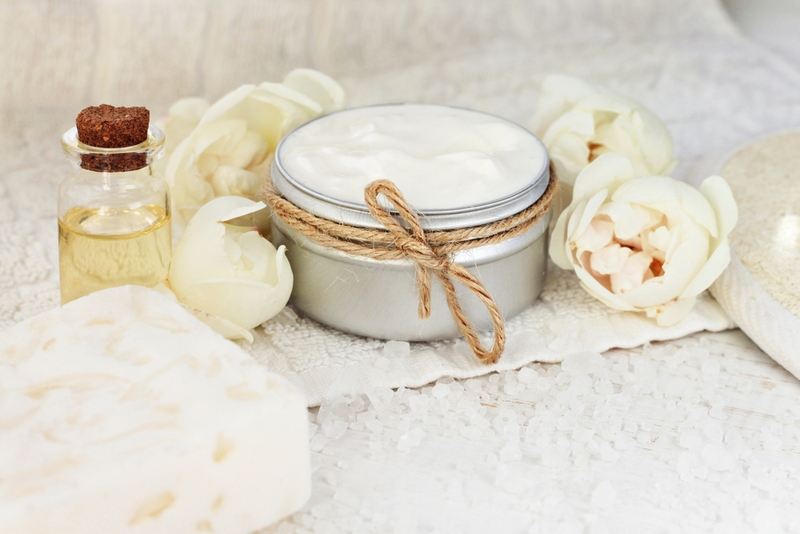 If your skin gets drier during the colder months, or with the change of altitudes or weather whip up this natural ultra-hydrating DIY moisturizer and see how it leaves your skin feeling. I start by mixing the aloe vera gel, vitamin E oil and essential oil (I used sweet orange) in a small bowl. Make sure all three are at least room temperature or warmer to help in emulsifying the mixture. I put the grated beeswax and coconut oil in a measuring cup, then place the measuring cup in a pot of water and bring to a light boil. As it heats, stir the mixture until the beeswax melts, then carefully remove the measuring cup from the pot. Pour your beeswax and oil mixture into a blender, add the aloe vera/coconut oil mixture, glycerin, rose water and Shea butter. Blend the mixture for about three minutes, checking the consistency. While blending the mixture, watch and be patient as you watch for your cream to emulsify. It should take no more than ten minutes. Use a spatula to keep the mixture from the sides within blades reach. The longer you blend the fluffier the mixture will become. I recommend not blending longer than two minutes at a time. Once your mixture reaches your desired consistency (for me the fluffier the better), transfer it into a clean jar or plastic container. Enjoy your new ultra-hydrating DIY moisturizer and use your lotion within three weeks. I relish in experimenting with different essential oils but right now, I’m loving lavender and sweet orange for my DIY recipes. Choose scents that fit your fancy and have fun! Don’t be afraid to play with varying amounts of the ingredients based on your own skin needs. Everyone loves what you guys are up too. Such clever work and coverage! Keep up the fantastic works guys I’ve added you guys to our blogroll.